The 37 spires of Loha Prasart or Metal Castle representing the 37 virtues required for enlightenment. This building is one of three in the world, the other two being in India and Sri Lanka. 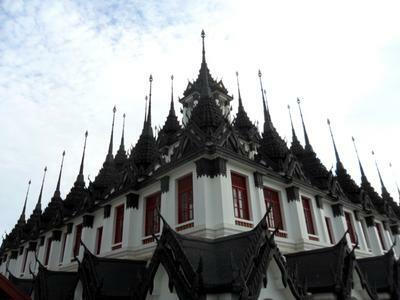 The Metal Castle is located in Wat Rachanatdaram in Ratchadamnoen Avenue, Bangkok.